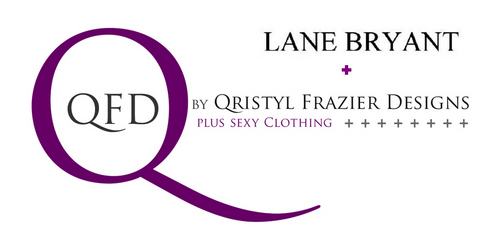 I just happened to be cyber shopping on Lane Bryant’s website a few moments ago and saw that plus-size designer, Qristyl Frazier’s, new collection is now available for purchase. I have been waiting for this line to become available. Last month Skorch Magazine gave the exclusive first look of the collection and now you can finally get your hands on it too. Beautiful plus size models Liris Crosse and Denise Bidot are modeling the clothing on the Lane Bryant website. Qristyl got the thumbs up to do this exclusive collection with Lane Bryant after appearing on the Sundance Channel series, “All On The Line With Joe Zee”.